As Richard moves west to Missouri to begin a new chapter, we’ll also be saying so long to Chicago as a regular destination point. For years now, while Richard attended Northwestern and worked as a tutor in local public schools, we’ve been visiting Chicago periodically. It is a great world city, and the jewel of the American Midwest. We’ve enjoyed its impressive skyline, fine restaurants, and grand parks and public spaces. I’ve also been impressed by Chicago’s focus on preserving and celebrating the proud ethnicity of its people; like New York City, it is one of the places where the concept of the American “melting pot” — in which people of different ethnic backgrounds are tossed into the cauldron, and something new and different and interesting is produced — really seems to have occurred. Chicago has its problems, like lots of murders and a political culture with a history of corruption, but for us it will always be a place with many fine memories. 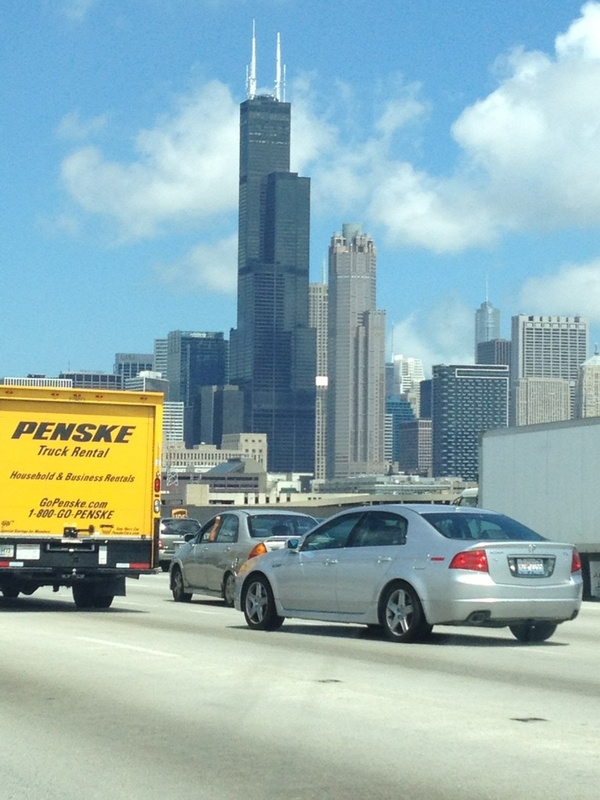 The only thing I won’t miss about Chicago is the ridiculous traffic. No matter when we’ve come here, and what odd hour has marked our arrival, we’ve always been snarled in bumper-to-bumper traffic jams on the Dan Ryan Expressway. If I were Dan Ryan, I’d ask that my name be removed from that godforsaken stretch of highway.